All jewelry is handmade in Penny's Minneapolis studio using recycled and ethically sourced materials. Inspired by nature, geography, and love, Penny Larsen charms are hand-crafted from eco-friendly recycled sterling silver or brass. 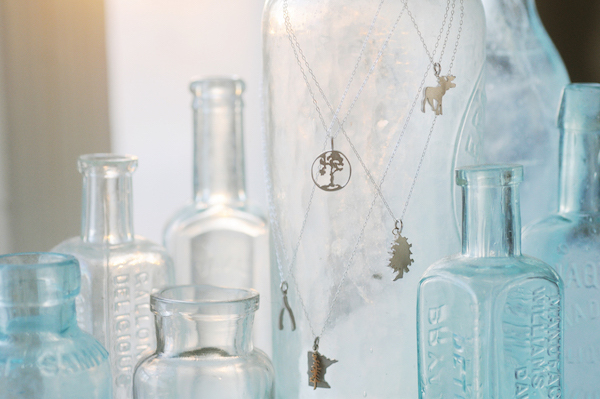 Hand made in Minneapolis, charms can be worn one at a time or grouped together. Penny Larsen Studio is excited to launch Fuse. Fuse connects and collaborates directly with select non-profits, integrating causes Penny believes in with her brand. Each design contributes directly to the organization Penny is working with. For Earth Month we are pleased and honored to present our very first Fuse Charm for Climate Generation: A Will Steger Legacy. For information on how to work with Fuse, contact Penny. 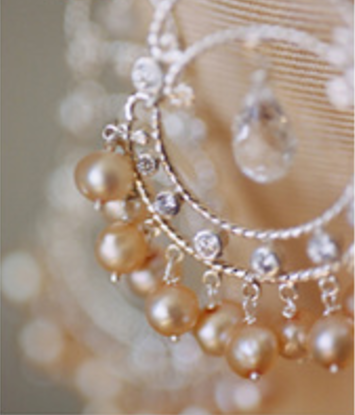 The perfect piece of jewelry pulls everything together on your wedding day. But with the bridal collection, Penny creates jewelry that you'll reach for time and time again. Vintage style, intricate detail and organic forms are evident in each hand-crafted piece. Refined, elegant, but not fussy, these will be worn on special days for years to come. Join our mailing list for a first look at new designs, hear about upcoming events and exclusive offers.